"How about cake? Everybody loves cake!" My husband says that in his best Donkey (Eddie Murphy in Shrek) voice anytime I say I'm hungry and I don't know what I want. He makes me laugh...and he makes me hungry for cake! 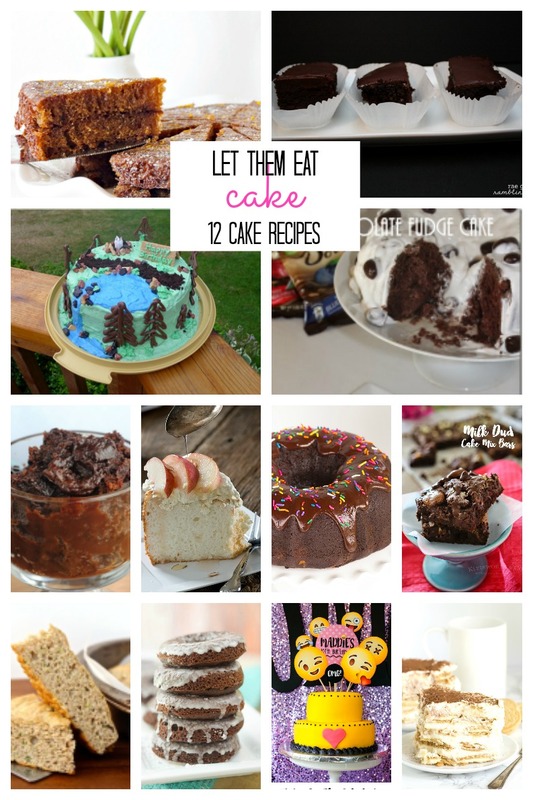 I rounded up 12 delicious cake recipes from you guys and the hosts this week, hopefully you'll find something to curb your cake cravings!